President Donald Trump on Thursday directed the U.S. Department of Health and Human Services to declare the opioid crisis a public health emergency to address a rapidly escalating epidemic of drug use. 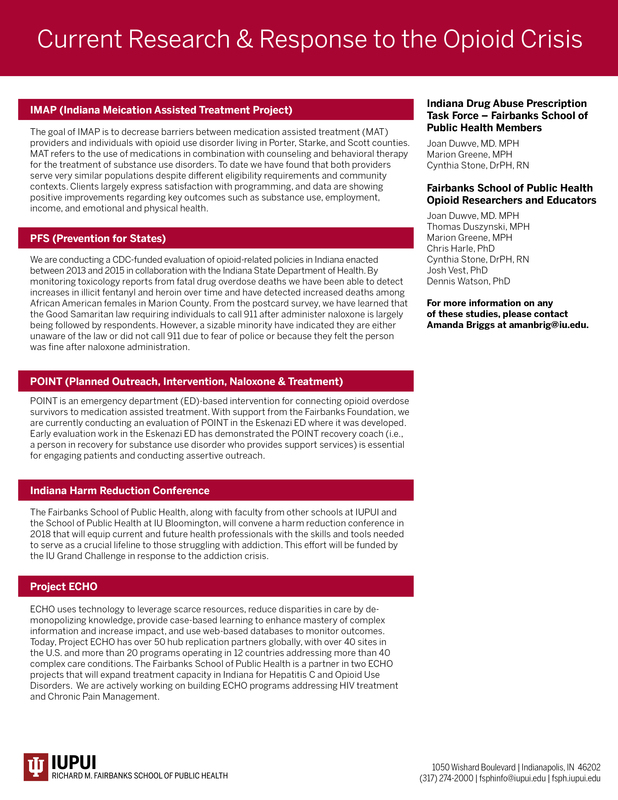 Following the declaration, the Indiana University Richard M. Fairbanks School of Public Health at IUPUI put in graphic form key information about opioid use and health in Indiana. 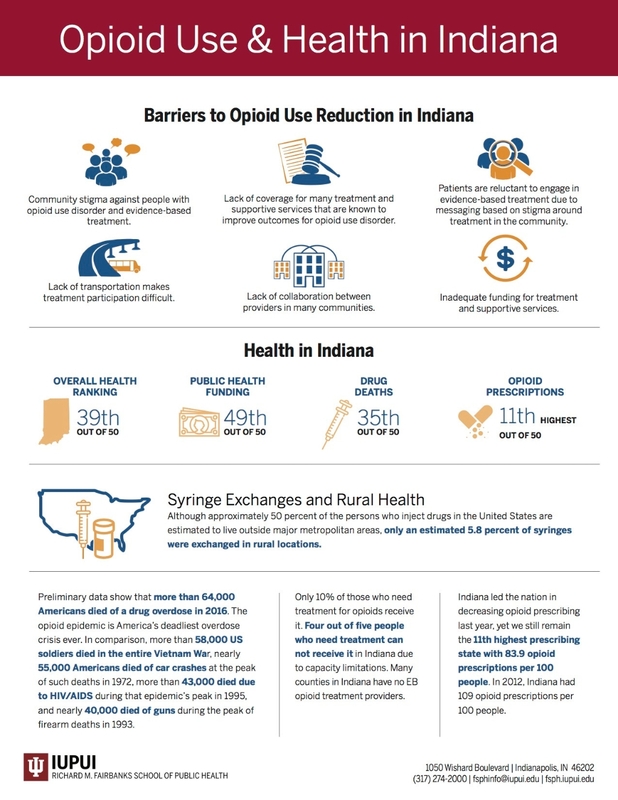 The information also spotlights key health facts and highlights the status of five research and response programs to opioid use in Indiana. View the fact sheet online. View an accessible version of the fact sheet.